People of the world have become more connected than ever before in this age of the internet, with people from different countries being easily able to learn about the cultures and languages of another. Much like learning to play a musical instrument, it’s a fantastic way for us as Humans to express ourselves, our ideas and broaden our understanding of ourselves and each other. Most of us will remember being taught a second language at school (French, Spanish and German being the most common), and you still may remember some phrases and maybe even grammar rules but like most wouldn’t be able to hold a fluent conversation. It would have been significantly more beneficial for a kid to have learned the language at a much earlier age, not just for communicating with those who also speak the language. There is also a wealth of other advantages that may have you consider having your child learn a foreign language even before they start going to school. Children learn their first language by means of immersion, which is the process of learning a language by experiencing those around them using the language in everyday life, the most effective means of learning a new language as it’s without pressure and they can learn in their own time. When children have the exposure to foreign language at from 6 months of age until about 7 years, they will have a much easier time picking up languages in later life, even if it’s not the same language and that’s because they’ll be more practiced at recognizing the differences in sounds and words. Language learning resources are so widely available and easily accessible as well with websites, apps, books, and videos all out there to supplement learning but there’s one really major hurdle and that is: the commitment to teaching by you as the parent. Why Make Such a Commitment? What actual interest do you have in teaching your kid another language other than it’s cute? Well, there are plenty of reasons why you should put the all the effort into teaching the second language to the child and the short story of it is: it enhances overall learning throughout their development. 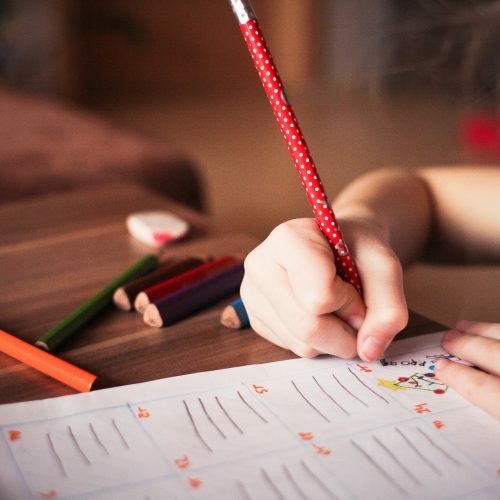 Children who are learning a second language alongside their native tongue show a much better understanding of the mechanics of language such as grammar, conjugations, and sentence structure. This means that kids that have had an early head start in writing, speaking and listening have a greater advantage over other students when learning English which is only going to increase their engagement and success in school when it comes to English literature and language. It has been shown by various studies that children who have experience in learning a second language possess increased memory, creativity, critical thinking and problem solving with more achievement in core subjects at school. It’s a no-brainer when considering your child’s future that you would choose to encourage academics and learning in them early on so that they’ll be more focused at school. Teaching them two languages is a great way to do this so that later they can reap the rewards of in the form of success in school exams and better future career opportunities. Consistent results by a number of studies show that people who know multiple languages reach a higher average age before developing dementia than their monolingual counterparts. This really indicates that the analogy of the brain being a muscle rings true to a degree in a sense that the more you use it, the stronger and more efficient it becomes and so we really must make the most of our mind while we have it. Great for Travel and Learning More! Travelling really opens a child’s eyes to the world so they can really see how much variety there is within people around the world and watch your children begin to make friendships on their travels using their non-native language is the ultimate heartwarming experience. Gaps can be bridged between languages and languages of similar origin are easy to learn if you know one of them, for example, French is easier to learn if you know Spanish. This means that they will have a much easier time learning languages similar to the ones they know which will complement their travels as they grow up and explore the world. How Can I Teach My Children a Second Language? It does seem like quite a long road ahead, especially if the parents are not bilingual themselves but the time it takes shouldn’t be an issue for you, as you can learn alongside your child by making it a bonding activity; you can then organize it how you like. Be sure to maintain a positive learning environment, if you get frustrated it’s going to discourage the child form wanting to participate. Encouragement, praise, and patience are key and if you are part of a bilingual family get other family members involved, giving your child more incentive to speak the language around them. The learning process should be continual which can include different activities, songs, and games that adapt to the child’s learning and age as they grow, be sure to check out the mountains of resources online too such as Rosetta Stone, a fantastic language learning software which utilizes the immersion method.